The Personal Accident plan by Bajaj Allianz is another personal accident disability plan which offers coverage in case of death or disability resulting from an accident. With this plan uncertain expenses resulting from accidental injury are covered. Proposer and spouse between age 18 years to 65 years can be covered under this policy. 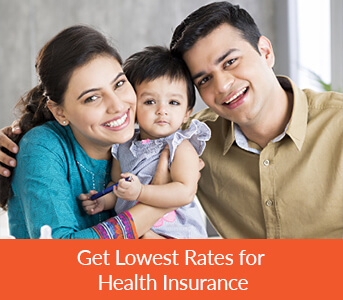 Dependents between age 5 years up to 21 years can be covered under this health insurance plan. In case you opt for family package and cover 2 or more number of member with this policy then, you would get discount of 10% on premium. Includes individuals under administrative/ managing functions, accountants, doctors, lawyers, architects, teachers and similar functions. Includes all manual labors, garage mechanics, machine operators, paid drivers, cash carrying employee, builder, contractor, veterinary doctor and similar functions. Workers in underground mines, electric installations with high tension wires, big game hunters, circus performers and similar functions. 125% of sum insured is paid as compensation in case of permanent total disability. Under this benefit the nominee (appointed by the insured) gets compensation from the insurance company which is equal to 100% of sum insured after insured individual’s death. A consequential injury caused by an accident that results in permanent total disability is covered under this benefit as long as it occurs within 12 months from the date of an accident. The compensation up to 125% of sum insured is provided by the insurance company in such cases. A consequential injury caused by an accident that results in partial disability is covered under this benefit as long as it occurs within 12 months. The compensation is paid by the insurance company in the range of 2 to 75% of sum insured depending on the part of body affected. A consequential injury caused by an accident that prevents one from pursuing his/her occupation is covered under this benefit as long as it’s within 12 months. The compensation equal to 1% of sum insured up to a maximum of INR 5000 is paid by the insurer up to a maximum of 100 weeks. Under this benefit the expenses on transportation of mortal remains equal to 2% of sum insured up to a maximum of INR 500 are covered. Under this benefit, a compensation equal to INR 5,000 would be paid as part of education fund to each of the insured individual’s dependent children below age 19 years. This benefit would be paid only in case of valid claim for death or disability of the insured. Maximum of 2 dependents would get this benefit. After each claim free year the company rewards you with no-claim bonus which is equal to 10% of the basic sum insured for a maximum of 5 years i.e. up to a maximum of 50% of the sum insured. Under this benefit, for each valid claim under any section of this policy a daily cash of INR ,1000 per day up to a maximum of INR 30,000 is paid. Under this benefit in case of any valid claim in this policy, hospitalization expense for the treatment is covered up to 40% of the sum insured in the section up to a maximum of INR 5,00,000. Please refer the policy wordings for the detail list of coverage offered under each section. War or terrorism related injuries. Please refer the policy document for the detailed list of all the exclusions. You can make the premium payment in three different modes namely; ECS, Online Payment Options like Netbanking, Debit/Credit Card, Payment Wallets, Cash/ cheque payment by visiting any branch. How can I check policy status for Bajaj Allianz Personal Accident? If you are a registered user, all you need to do is go online and log in to the e-portal by entering your user ID as well as password and then check the status for Bajaj Allianz Personal Accident policy. You can also download the ‘Customer Portal’ mobile application on your smart phone, enter the Bajaj Allianz Personal Accident details and then check your policy status. What is the policy renewal process for Bajaj Allianz Personal Accident? You can then print the premium payment receipt. What is the company’s process to settle claim for Bajaj Allianz Personal Accident? The process to register a claim for your Bajaj Allianz Personal Accident policy is very easy. All you need to do is go online, download the claims form from the official website of Bajaj Health Insurance, fill the form correctly and then finally submit this claim form with the required documents at any branch of Bajaj Allianz Health Insurance Company. The Company will then reimburse your claim within 30 days from the claim intimation post investigation. What is the policy cancellation process for Bajaj Allianz Personal Accident? The cancellation policy for your Bajaj Allianz Personal Accident cover is very easy. All you need to do is fill in the surrender form by downloading the same online and then submit it at any of the nearest branches. Your refund would be processed to your bank account within a couple of days and then your policy would be deemed cancelled. 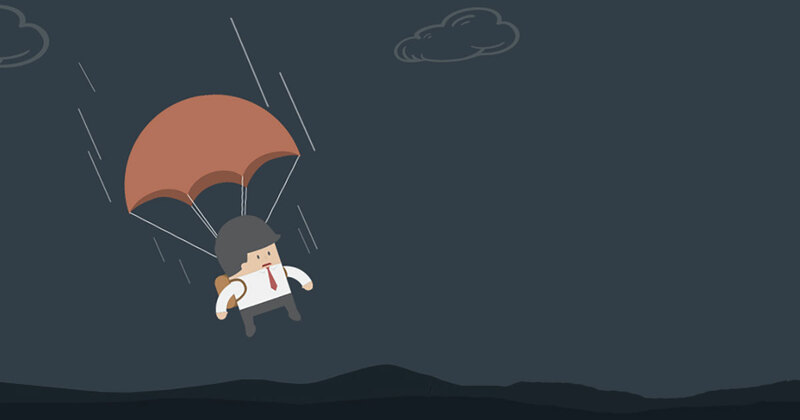 Does Bajaj Allianz Personal Accident Policy provide a tax benefit? No, Bajaj Allianz Personal Accident policy doesn’t offer any tax benefit. What is personal accident premium? The amount that you pay to the insurance company annually in order to cover yourself from the risk of death as well as disability by an accident is termed as the personal accident premium. Why Personal accident insurance is important? Get Insurance and Financial money saving tips in your inbox. How to Find the Best Family Floater Plan?